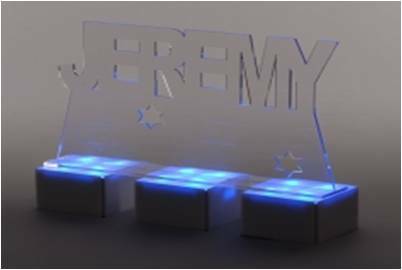 Custom acrylic letters can be cut and placed on illuminated bases to create a personalized centerpiece to a head table or buffet. Glass Cylinders filled with colored water can be used to float candles or LED lights. These liquid columns can be dyed to match any color palette and can be reused year after year. 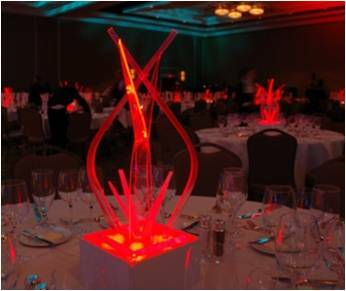 Sculptural Lucite centerpieces can be used with contemporary themes. 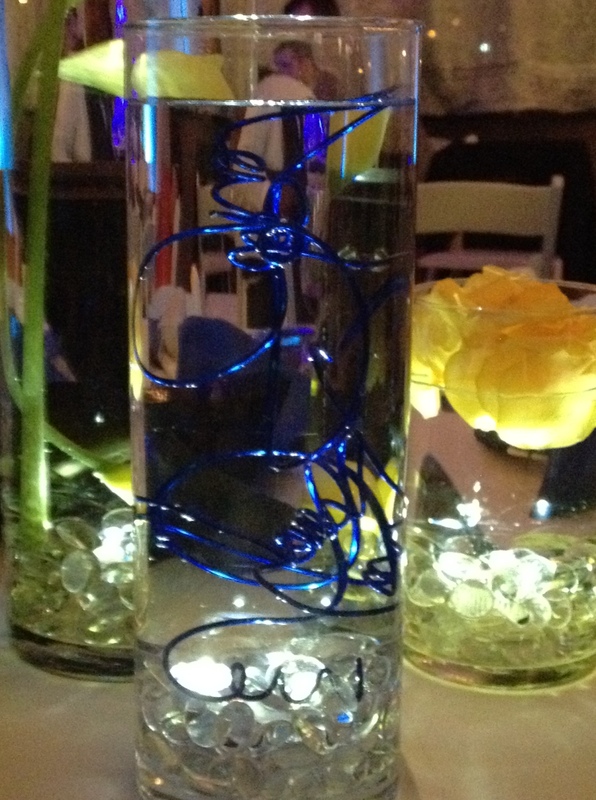 For a clean look, these light-up centerpieces can be paired with a solid linen and simple flatware. 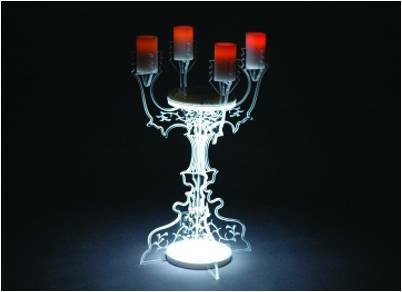 This acrylic candelabra features an LED powered base that illuminates the entire stem and arms. Candles or LED candles fit snugly on each stem. With this design, you have the option of adding floral design to the top shelf.